If you are a designer you will know that the navigation of your website is one of the most important elements of the design. If the user can navigate through your website with ease then half your problems are over. One other thing to take care of is that the visitor finds the navigation with ease. This is commonly not an issue, however many websites have some fancy theme and design a fancy navigation too. Although the navigation is perfectly fitting the theme, at times it does not serve the purpose if the visitor cannot find it at the first glance. For most of the websites navigation is usually not such a big issue though since they have a traditional form of navigation that consists of a primary navigation bar at the top supported by sub menus. But the same cannot be said for mega sites. Designing a menu for a mega site requires some special skill. Mega site – What is it? A mega site is as the name suggests a large website what has a wide range of products or services on offer. It is likely to have a massive user base as well. A mega site can be an e-commerce website, an informational website, a news company website, even and educational website. Typically it would owed by a large organization and be many levels deep, be extremely large. It is likely to be made up of many micro websites and subsections and even cater to a diverse audience. Such websites usually have a multiple entry point. For example organizations like BBC and Microsoft have true mega sites. Breadcrumbs come in handy in such situations and can help the visitors stay in context. However the traditional navigation will not be able to support multiple entry points. For example: If we consider an education website which has many different courses and many students too. A student seeking information on a particular course is likely to enter the page of the particular course and is by no means interested in the broader website which needless to say is bound to be huge. However with the traditional navigation the visitor will always be exposed to the entire massive website whether he likes or not. The good news is that there is a solution that can make the navigation of a mega site easier to manage. The bad news is that there is no perfect solution. One of the solutions is to get rid of the navigation altogether. The way this works is the website is designed as standalone pages and the visitors are expected find pages via a combination of search and navigation by tags and also use search feature to find the pages. This has several advantages like it can support a website of limitless size. This is suited to users that access the website from deeper links. This helps develop a more dynamic relationship amongst pages and it makes it easy to add and remove pages. There are also several challenges faced by this approach as well since one would have to depend on well tagged documents and a powerful search functionality. Hence while this is an option available, it may not be the best possible solution. Another popular solution that is used by many existing mega sites on the internet is to split the big website in to several smaller micro sites. BBC has done exactly that with their massive website. They have broken down their website into several sub-websites like news, sports, TV, radio, etc. Each of these sub-websites has their own navigation as a solution, instead of having one big navigation for the entire website. This kind of navigation can have a have affect the overall feel of the website giving the visitor a disjoined experience. The way to avoid this is to ensure consistency in the top level navigation. Another very popular solution to this issue is to make use of the breadcrumb drive approach. This approach too does away with traditional navigation. Instead there is a page that consists of all to options on the website. This will usually be the home page that consists of all the main categories and a few sub categories of links. The subsequent inner pages will then use breadcrumbs to help the user identify where they are at all times within the navigational hierarchy. This approach has been implemented by the government of UK for their website Gov.UK and has been done very effectively. The advantages of this method are obvious. To start with there is no top navigation hence the space on the top can be saved. This helps keep the website simple, clean and easy to understand. To top it all it goes very well with the mobile devices. The focus is more on the content and less on the bigger picture. All said there are some common issues with this kind of a navigation system too. The downside being that by relying completely on breadcrumbs and in page links for the children links the visitor is completely blind to the overall context and the bigger picture of the website. While that is perfectly fine if the visitor is only accessing a specific section of the website for that particular information. But what if the visitor is not accessing just one bit of information and is doing some research or if the content he is accessing is spread out over several different sections he might find it difficult. That said the way the website Gov.UK has been managed is extremely good. Each section is well defined and independent of the other sections and this approach seems flawless as far as this website is concerned. 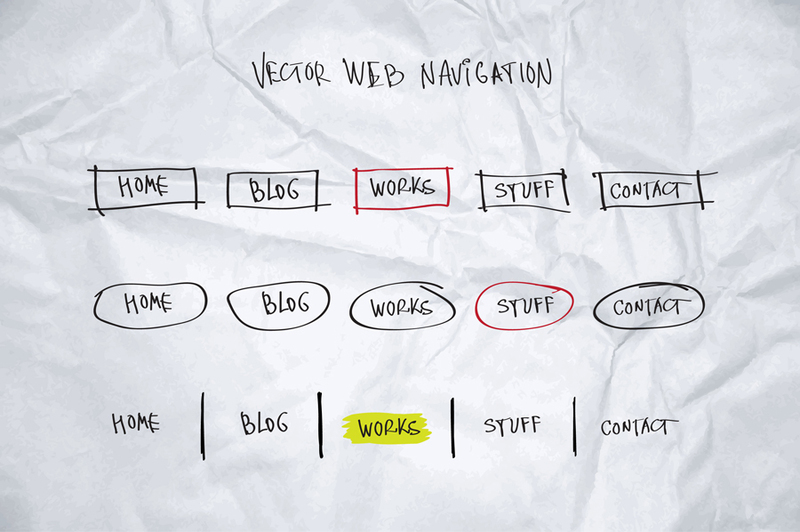 The navigation of a website is needless to say one of the most important design elements of any website. The bigger the website gets the harder it gets to manage the navigation. If the website does get very big it may be time to consider an alternate navigation design. There are several options for an alternative though which one to select largely depends on the nature of the website, its content and the type of visitors as well as the visitor behavior Hence though there are several proven solutions to the big navigation problem; it is very much possible that depending all the characteristics of your Web Development Firm can come up with a solution that fits the bill exactly. Alakmalak is all about building good and high quality websites for clients from all around the world. They have till date developed more than 2000 websites of several different kinds, ranging from e-commerce, to informative and even customized solutions for several companies like law firms etc. But they don’t simply develop a website, they go a step further. At Alakmalak, they make the effort to understand the exact requirements of the client and they will do so even if that means several long telephonic meetings to get it right. Thus there is little chance you will go wrong if you go with Alakmalak.